Not everyone knows how to use CBD oil. I mean, I’ve tried to explain, but somewhere down the line it all went hazy. And the internet isn’t of much good either, given there are so many spammy sites popping up with no real info. But that, will change! I promise. Hey everyone, it’s Daniel here! and I’m back with some more important advice. This time, however, Aaron has asked me to take a step back and explain some of the basics about CBD. Alright then, let’s get on with it, shall we? One of the best things about CBD is the vast number of ways you can consume it. While some methods are time-consuming, others are quick acting but not as convenient. Now, I’ll tell you all about the various ways you can consume CBD. However, bear in mind that I’ll be talking about my experiences and your mileage could vary. Let’s start with my favorite way of consuming CBD oils. I have been hit up countless times on social media on “How to use CBD Oil?” In fact, the sheer number of requests is exactly what inspired me to write this article. Oh, wait! For all those who are unfamiliar with the term, let me swiftly explain what it means. If you do a quick google search of ‘Sublingual,’ you’ll get the following result – situated or applied under the tongue. And indeed, that’s exactly what it is. 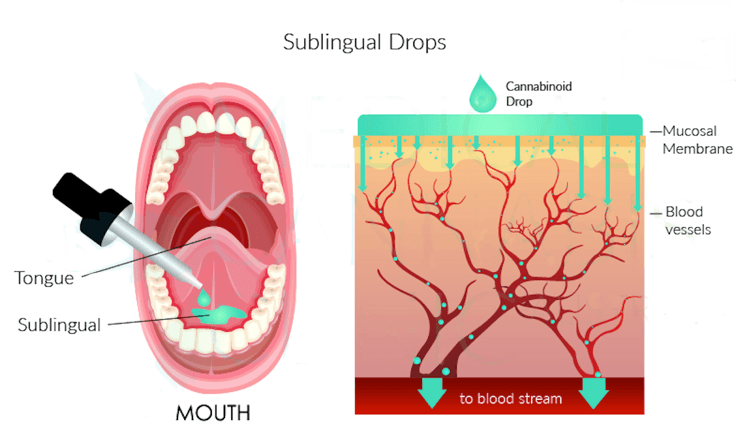 You take the CBD Oil tincture, spray, or isolate and drop a small amount underneath your tongue. Now, that’s the easy part. The hard part is to wait a couple of minutes for it to get completely absorbed. I believe the natural taste of some CBD oils or isolates can overwhelm new users. If you want to start using CBD sublingually, I suggest trying out some flavored oils. Unfortunately, you won’t find isolates in exotic flavors. Although I can’t consider anything other than Natural CBD oil tinctures, I remember a time when I absolutely hated the taste. It takes some getting used to. So, why do I love sublingual consumption? Well, for one, it is one of the fastest ways to feel the effects of CBD. Moreover, it lasts for about 4 to 6 hours. Although I don’t normally vape, I find it one of the most convenient ways to consume CBD. If you’re already into smoking e-cigarettes, vaping will be the smoothest transition into the world of CBD. My wife has been vaping CBD for almost half a decade now,and she still prefers this method over everything else. And because of her, I have vaped more often than I normally would. Well, that’s partly because of my absent-mindedness. I have forgotten my CBD medication on multiple occasions. And my wife being the thoughtful person she is, has always made it a point to carry an extra vape cartridge on all our trips. What would I do without her! Anyway, I digress. Vaping is surely the fastest acting of all the methods of consuming CBD. However, it has its cons. The biggest one, in my opinion, is the duration of the effect. It only lasts for 2 to 3 hours. In contrast, edibles and CBD oil tinctures can remain effective for almost 6 hours. Moreover, vape oils and vaping equipment will be more expensive in the long run compared to the equivalent CBD oil tincture. Edibles, just like vaping, is a highly convenient way to consume CBD. However, unlike vaping, it is one of the slowest to take effect. In fact, it can take almost an hour before you start to feel its reaction. I must confess that I’m not at all experienced with CBD edibles. Sure, I have tried it for the sake of reviewing. But, it was never my thing. In my opinion, if you can get past the slow reaction time, edibles can be a nifty way to consume CBD. In fact, it is ideal for those who are always on the move and lead a fast-paced life. Moreover, you can enjoy the effects for almost 6 hours. 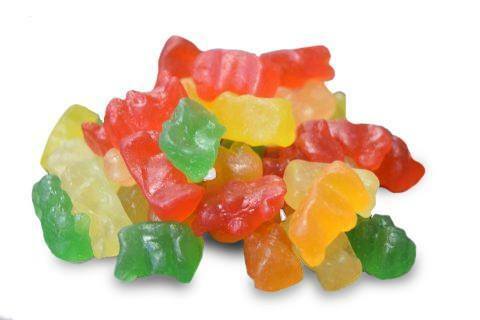 CBD edibles are available in the form of capsules, pills,and gummies. While the capsules and pills are meant for a more serious audience, the gummies can be enjoyed by anyone. It can be a great snack. However, don’t expect much in terms of effects. Topicals aren’t anything alike compared to the methods I talked about earlier. You don’t ingest it. 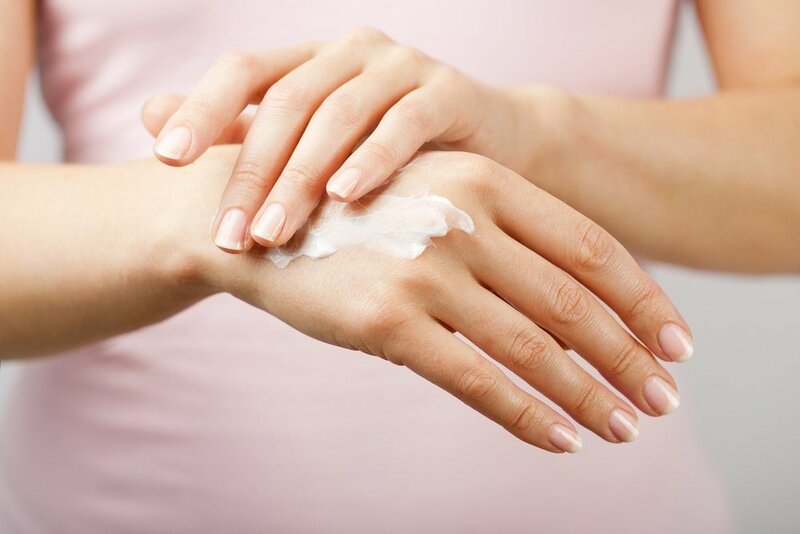 Rather, you need to apply it to your body, just like you would with any body cream. So, how does it work? Well, once you apply it, you need to wait about an hour before you feel the effect. Sure, it is one of the slowest methods, but the effects last almost as long as the oral consumption methods. Depending on your body type, topical application of CBD can remain effective for about 5 hours. Now, these CBD products are not just used for pain relief. They are also great for your skin. Although, I have never used it for beautification.Well, that shouldn’t come as much of a surprise. After all, let’s face it, I’m a middle-aged man who’s not very pretty! However, I can vouch for the effectiveness of topicals when it comes to pain relief. I have used it on quite a few occasions for my right knee after I had surgery and I must say that it worked well every time. If you suffer from chronic pain, I believe this is surely one of the most convenient solutions. Let me make one thing clear; there is no such thing as a universally correct dosage amount. The amount can vary according to your body type, weight, age and other factors. What works best for me, might not be effective for you. On the flipside, it can be more than what you need. And since CBD products are quite costly, you don’t want that, do you? So, how can you determine what’s best for your needs? I think the ideal way to do so is to start small. If it proves effective, you can continue with the same amount. However, if it doesn’t work, you can gradually increase it till you feel the effects. If you plan on using CBD regularly, you’ll need to increase the dosage over time. The dose amount I started with is hardly adequate now. Well, that brings us to the end of the article. I wrote this article with the goal to instill confidence in those who are new to the wondrous world of CBD. And I hope I have managed to do that. It’s always been a pleasure writing guest posts for my buddy Aaron,and I can’t wait to do it again. This is Daniel, signing off!